Posted in Associations, Government, News, under North America. Tagged with ELT, higher education, international schools, international students. Study Hawai’i, a consortium of education providers in the state, has published an updated strategic plan to develop the Pacific islands as a study destination over the next nine years. 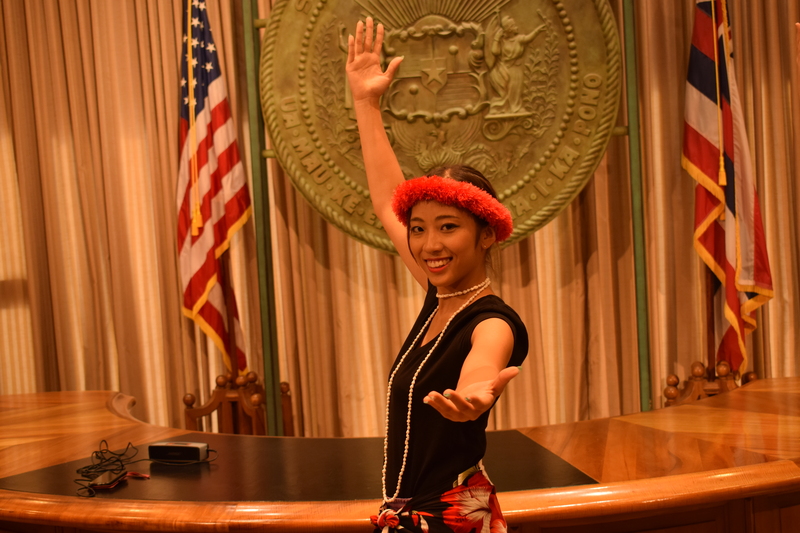 The publication of the new plan coincided with International Education Week in the US, and at a ceremony in Honolulu’s State Capitol, Governor David Ige signed a proclamation recognising the value and contributions of international students. “[Using] this opportunity of International Education Week [we want to] broadcast to the world that Hawaii is an outstanding place – not just for fun in the sun, not just for ecotourism and sustainability – but it’s a perfect place to come and get a degree,” said Study Hawai’i president Joel Weaver. The plan hopes to reverse the decline in international student enrolments, not only in the state of Hawai’i, but across the US. The consortium of Hawaiian educators hopes to double the number of international students in just one decade. It will focus on HE and school students, as well as short-term language and exchange program students. The goal is to attract at least 24,000 international students to the state each year by 2026. This is an increase of 10,000 students per annum, over the entire sector. Governor Ige highlighted that although the natural diverse beauty of the state is well known, and a draw that makes Hawai’i one of the most popular tourist destinations, it is not the only thing on offer. “We welcome students from around the world to enjoy the beauty of our Islands and stay for the quality education which will transform their future,” he said. “Whether it be astronomy, or ocean and marine sciences, marine biology, where the classroom is the natural environment here in Hawaii… we have a strategic advantage,” Ige added. Gov. Ige also pointed out Hawai’i’s diverse population (it is the only state of the union without a majority ethnic population) is embracing of international students. “We recognise the richness that the diverse students bring, that we are strengthened and empowered by their diversity,” Ige said. Working in conjunction with StudentMarketing, Study Hawai’i’s new strategy sets out lessons to learn from organisations such as EduNova in Canada, and English Australia to recruit students successfully from around the globe. A key point to the new strategy is communication and state-wide marketing. “Successful study destination marketing and student recruitment can no longer be an outcome of unsystematic or stand-alone individual initiatives,” the report says. Instead, it is planned that Study Hawai’i will be able to transform from a coalition of education providers to an organised NGO or even a state-government agency. An initial investment of $430,000 is expected to be found through government funding and private capital. Both Study Hawai’i and StudentMarketing understand that this growth and funding hopes are not easy. However, with more engagement with education agents planned, and an understanding of target markets, both parties are positive that the goal is achievable. To do so, Study Hawai’i are clear in its target markets. As the bridge between east and west, Asia is an obvious choice. Japan is currently the largest market for Hawai’ian institutions, but other nations such as China are also being targeted. “We do have an office in Beijing that is strictly there to help students attend Hawaii schools, including with marketing, so Chinese students know about Hawaii as a place to study,” said Dennis Ling of the Hawai’i state department of business, economic development and tourism. “One of the target areas in our strategic plan is China, with a close second being India, because those are the largest growing areas for international education in the US as a whole,” Weaver said. “We’re also looking at second and tertiary markets as well, like Brazil,” he added. Answering a question on the potential impact of the Trump administration on the targets of Study Hawai’i, Dennis Ling distanced the island state from the realities of life on the mainland. “My opinion is it’s because of a lot of the perception that the US is not a very safe place to study… Hawaii is different. We are ranked as one of the top states for being the safest in the US,” Ling said. “And we’re a long way from Washington DC! As far as you can get,” added Weaver.